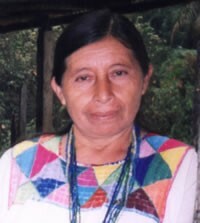 The Chol are an indigenous Mayan people group who have come from the Northern portion of the state of Chiapas in Mexico. The Chol come from an agricultural background with few modern conveniences. The language that is called Ch'ol in English is referred to as "Lak ty'añ" which means "our speech". The word Ch'ol refers to both the language and the people. They came to the USA in search of better economic opportunities for themselves, their families, and their villages in Mexico. The main religion practiced by the Chol is a mixture of Roman Catholicism with pagan syncretism. Catholic saints are worshiped in the church, but veneration is also given to sacred mountains and caves, the Sun and Moon, and stone idols. The Chol also practice traditional curing ceremonies which they believe drive out evils that cause illness. Pray for Chol believers to boldly proclaim the gospel to their people. Pray for more workers for the harvest, both for the Chol in the United States, as well as those in Mexico.